What a night of sport and spectacle! 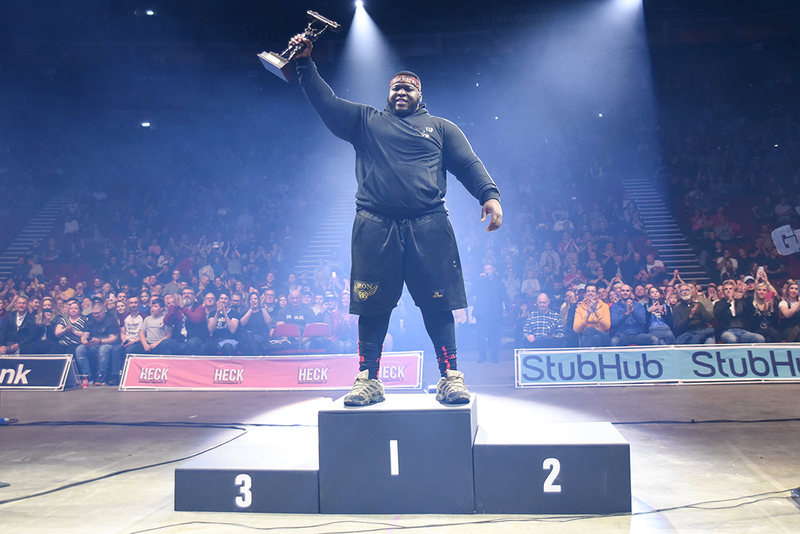 Europe’s Strongest Man took place on 6 April 2019 to a packed out first direct Arena in Leeds - the most perfect gladiatorial setting for the World’s Strongest Men to do battle for the European title. The strongest men from across Europe, including Game of Thrones star and current World’s Strongest Man, Hafþór Júlíus Björnsson, competed for the European title and a coveted spot at the World’s Strongest Man final. The full line up for the show included Scottish brothers, Tom and Luke Stoltman, Second World’s Strongest Man, Mateusz Kieliszkowski, and ex Russian Marine, Mikhail Shivlyakov. 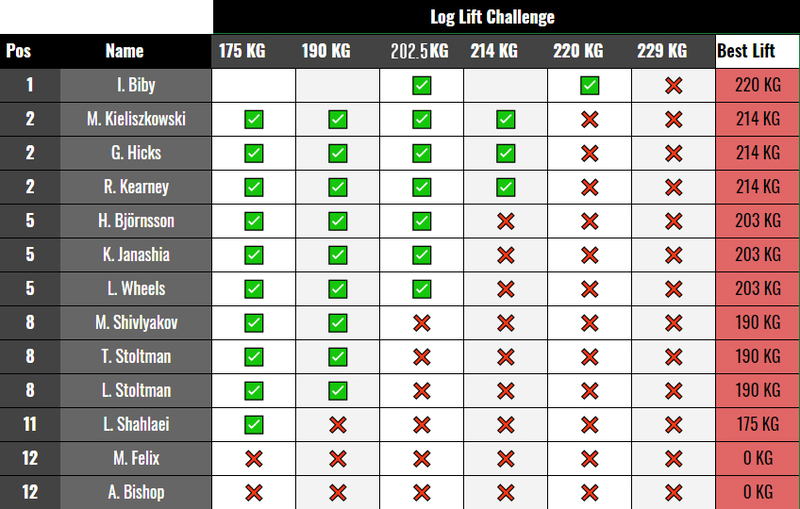 The line-up also featured the biggest and best pressers from around the world who joined as special guests for Event 1: The World Log Lift Challenge! 4 x World’s Strongest Man, Brian Shaw, and British Legend, Terry Hollands pulled out of the event at the last minute due to injury, but both athletes attended the show to meet fans and support their fellow strongmen. The evening kicked off in grandiose style with the World Log Lift Challenge. It's safe to say the international benchmark for log press was raised to new heights, with multiple international records smashed! Rob Kearney (known as the ‘World’s Strongest Gay’ after becoming the first openly gay athlete in professional strongman) set a new American Log Press record of 214kg. Kearney has had an incredible run this year after marrying his partner, Joey, and winning the Australian Arnold’s in March. He took the record from 6ft 7” Robert Oberst who, despite signing up to do the event, failed to attend to defend his title due to passport issues. Eddie ‘the Beast’ Hall then had to watch from the sidelines as current Britain’s Strongest Man, Graham Hicks, took his British Log Press record with a solid 214kg lift. And Burkino Faso’s Iron Biby took to the stage to hoist an astonishing 220kg Log - the second biggest log ever lifted! Despite huge support from the 10,000+ strong crowd in the Arena, Biby failed on his attempt to set a new 229kg World Record, but his 220kg lift was enough to claim the win for the World Log Lift Challenge. Iron Biby lifts 220kg log – the second biggest log ever lifted! Graham Hicks also attempted the 220kg log. He pressed it overhead but was unsteady in the lock out position and referee Magnus ver Magnusson refused to allow the lift. It was dissapointing for Hicksy who came so close and was looking stronger than ever in the run up to the competition after his Britain's Strongest Man win earlier this year. Biby took to the podium, after performing his signature cartwheel for the crowd, of course! ...and that was just Event 1 of 5! The athletes then went on to deadlift a Giant 350kg Axle for reps, flip tractor tyres and pull giant anchors. Unfortunately, Laurence Shahlaei - the only man to have previously beaten Thor to the European title - had to sit out the flip and drag event and the atlas stones with a small knee injury that he was trying to manage in his preparation for World's Strongest Man. In a brand new event for 2019, the huge men had to resist the pull of two Giant Pillars of Hercules. It was Britain’s Mark Felix who stole the show in the penultimate event, managing to hold the huge weight for an astonishing 1 min 22 seconds! At almost 53 years of age and still competitive on the world stage, Felix continues to prove that age really is just a number. To tremendous applause, the crowd witnessed an emotional finish on the atlas stones as the Stoltman Brothers went head to head. Tom finished the stones in a super speedy 21.81 seconds and in an inspirational show of brotherly love and sportsmanship, ran to support big brother, Luke, shouting encouragement until he hoisted the final 200kg stone onto the platform. Luke joked after the event, “watching this guy do the stones is so demoralising. He is one of the best stone lifters on the planet... it is such a privilege to share this stage with him. I could get emotional.”. But after 5 events, it was Thor who came out victorious, claiming his fifth European Title, with Kieliskowski in second place and Janashia in third. Scotland’s Strongest Man, Tom Stoltman, proved he truly deserves a place with the best of the best, coming in fourth place. To top off the evening’s excitement, Eddie ‘The Beast’ Hall took on Vytautas Lalas in a nail biting arm wrestle and Colin Bryce announced a $50,000 reward for any athlete who could beat the Beast’s 500kg deadlift at the next stop on the World’s Strongest Man Arena Tour: Giants Live Wembley in July! If you missed this incredible show, the full live stream is available to watch at officialstrongman.com! Don’t miss the next strongman showdown! 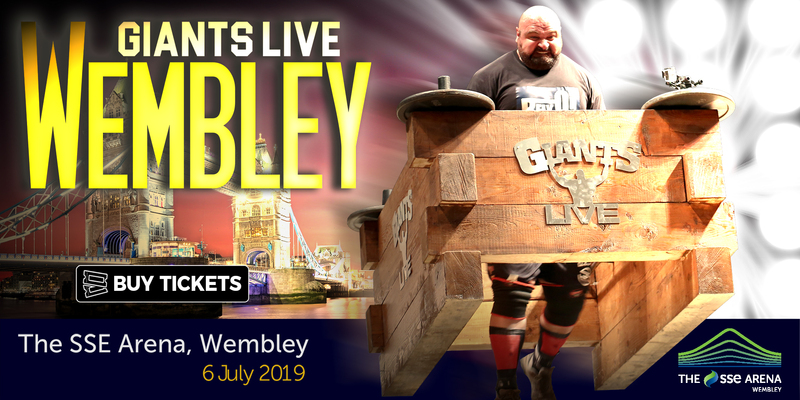 The next stop on the 2019 World’s Strongest Man Arena Tour is Giants Live Wembley *featuring the World Deadlift Championships* on 6 July 2019 at the SSE Arena, Wembley. Tickets are also on-sale NOW for Europe’s Strongest Man 2020 with an early bird discount of 10% OFF all tickets until Monday 8th April 2019!